Yesterday, I picked up a second-hand Zeiss Distagon 4/18mm ZM for some landscape and general wide-angle photos. Since the Zeiss 18mm has a 58mm filter size, and my Lee filter kit contained a 58mm adapter, I wanted to see if that would work. 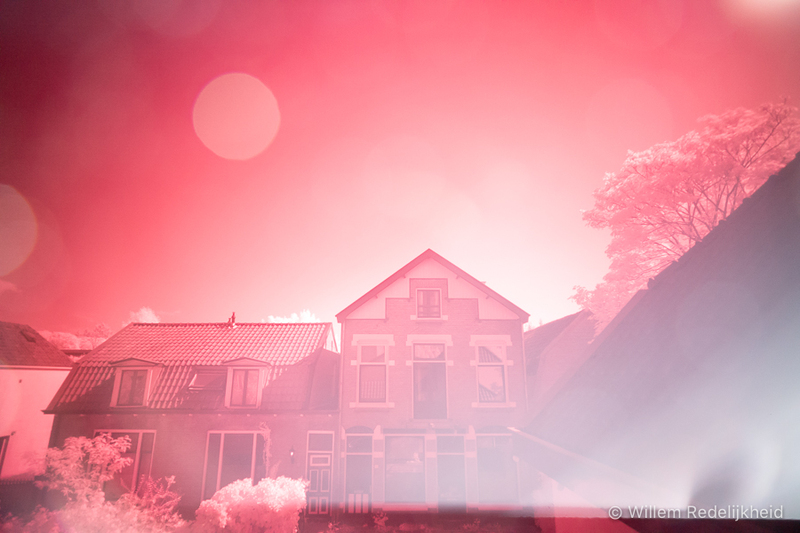 While browsing my filter set I found found my IR filter, and decided to give that a try. It turns out that the M10 sensor is able to record infrared, but you need relative long exposures (just like my Fuji X-T1), since it's not specially prepared/adapted for IR. While doing some test shot (out of hand) outside in the full sun I noticed that the Zeiss Distagon has some internal reflection issues while shooting infrared. Can you spot those issues? Answer: It's bokeh-balls where you don't expect them. Off-topic: Did Zeiss stop producing the Distagon 4/18mm ZM? It's no longer listed on their website. Posted on May 10, 2018 by Willem and filed under Leica, Carl Zeiss, Leica M10 and tagged M10 infrared zeiss distagon 18mm bokeh. I got the Leica M9 a couple of years ago, and in the meantime they released several Leica M Type 24x and 26x versions with, and without video etc. I still like the M9, eventhough it lacks video, high ISO, etc.. I like it because it digital photography without any overhead. No fancy auto-focus, 4k video with 10-axis stabilization. It's digital photography in its purest form. It is thinner, has better ISO performance, it's faster, it's... well... it's like an M9 on steroids, and it's on my wish-list, because I want it. Is that wrong? Posted on January 19, 2017 by Willem and filed under Leica, Leica M and tagged M10. I found this nice documentary about the origin and development of the Leica cameras, and the people behind it on YouTube yesterday. It is completely in German, but well worth it. Leica - a term that conjures up many a covetous gleam in the eye. After all, it is not just any camera, but the miniature camera, which in the Twenties revolutionized the world of photography. The history of the company that brought the Leitz camera on the market began in 1869 in Wetzlar: Ernst Leitz took over there at that time the senior small optical workshop of Carl Kellner, were built in the microscope. The documentary even shows the, weird looking, Leica Rifle in action. Posted on September 29, 2013 by Willem and filed under Photography, Leica and tagged documentary german.